Temperature Rating: The first thing to consider when shopping for a bag is what temperature rating you’ll need. The obvious factor here is where and when you’ll be camping, but there’s more than just average temperature to consider. The kind of shelter you’re in plays a large part here. A hammock will require extra insulation where a double walled tent can do a lot to cut back on the demands on your sleeping bag. Don’t be too tempted to cut corners here. Paying a little extra for a bag with a lower rating is a small price to pay for being warm and cozy when record lows sweep through unexpectedly. On the other hand, there’s no point in dragging the extra weight into the woods just to be sweaty and uncomfortable. 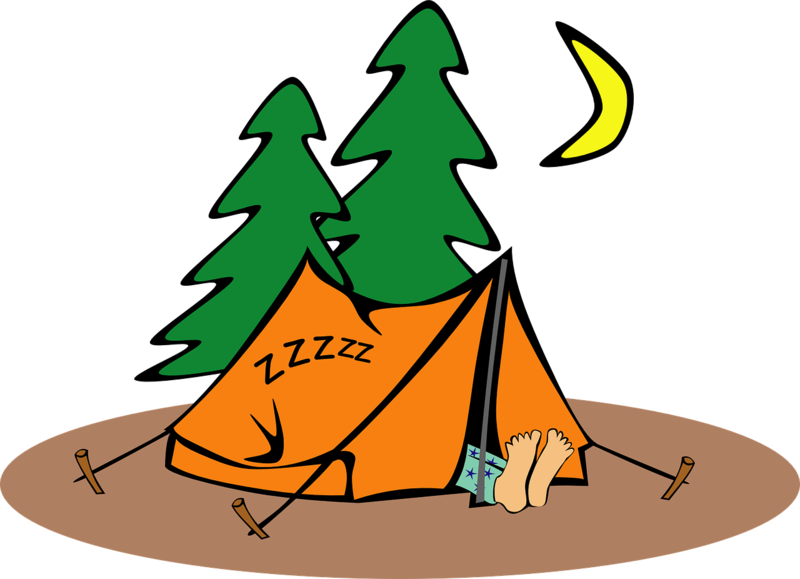 Insulation Material: There are three main types of insulation used in sleeping bags: synthetic, goose down, and water resistant down. Synthetic bags are often the choice for car camping, though it’s not a popular option for backpackers. Synthetic insulation will dry much faster than down and is nonallergenic. In addition, it’s much cheaper than its down alternative. Down insulation is more durable than synthetic and will pack down much smaller, making it more popular among backpackers. If it gets wet, however, you’ll be soaked for a long time. Water resistant down is a new option that is just coming out on the market. It is the same goose down, but treated to protect the insulation from moisture. Both of these options carry a much bigger price tag than synthetic, however. Shape: Choosing the shape of your bag is where comfort meets practicality. Your three options are rectangular, semi-rectangular, and mummy bags. Rectangular bags offer the most room and comfort for moving around in your sleep. Two compatible bags can be zipped together to form one large bag for camping couples. This is a popular option for car camping, but the extra bulk makes it a poor choice for backpacking trips. Mummy bags are the most popular backpacking bags. The narrower bag cuts down on weight if you’ll be hauling it through the woods in a pack. It also increases the warmth by creating less airspace around you to be warmed up. The tight fit does make for a rather restrictive feel, however. Semi-rectangular bags provide a nice compromise to the rectangular and mummy bags. The tapered legs mean less bulk than the rectangular design and also a warmer fit. They are roomier than mummy bags, making them attractive to restless sleepers who don’t like the closed in feel of the close fitting bags. The Stuff Sack: Most sleeping bags come with a stuff sack to compress the bag down smaller on trips. Start stuffing at the foot of your sleeping bag and have the zipper closed. Try to stuff as evenly as possible to avoid putting uneven stress on the stitching. 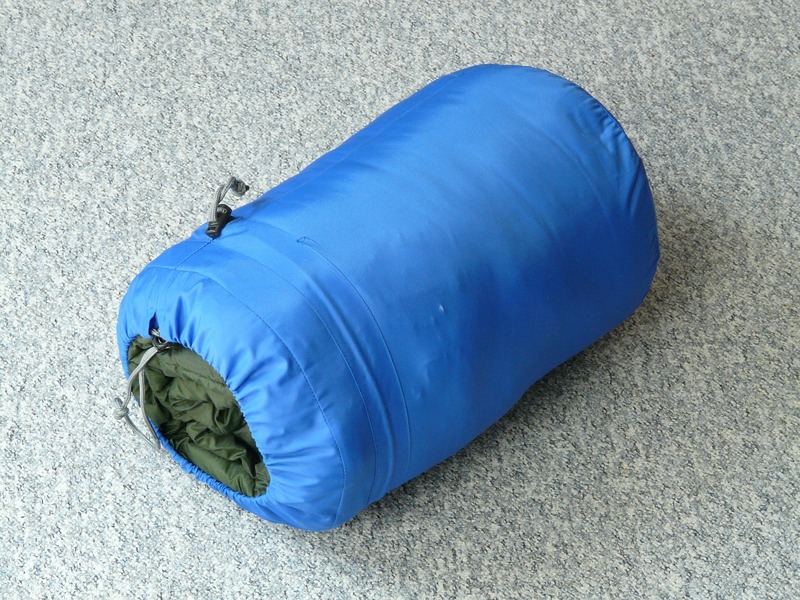 Often sleeping bags come with a large mesh sack in addition to the stuff sack. This is because you should not compress your sleeping bag for long periods of time. In between trips, air your bag out well and then keep it in the mesh sack. If your bag didn’t come with one, any large breathable sack will work fine. Keep Your Bag Clean: A buildup of sweat, body oils, and dirt will quickly reduce the insulating powers of your sleeping bag. Always change into clean clothes before you sleep-you’ll sleep better and your bag will stay cleaner. If you are a heavy sweater, you might want to use a sleeping bag liner to protect your bag. In cold weather a liner provides extra warmth. If you don’t need any extra warmth, two lightweight pieces of fabric stitched together make a quick, easy liner. The liner will wash much better than your entire bag and is also much cheaper to replace. Wash Your Bag Infrequently: Regular washings are rough on sleeping bags and will decrease the loft, and thus the effectiveness, of the insulation. It’s best to hand wash your bag when necessary or to use a front loading washer. Air drying your bag is better than using a dryer, but if you don’t have that much time then use the lowest heat setting available. A couple of tennis balls in the dryer will help maintain the loft in your bag. Spot cleaning your bag is preferable to throwing it in a machine. Scrubbing with a mixture of laundry detergent and water will get most stains out of the shell. The hood and collar are where the most body oils tend to accumulate. Try to hold the shell away from the insulation as you scrub to avoid getting the down or synthetic material wet. Your sleeping bag may come with a heavy price tag, but it’s an investment worth making to ensure your comfort in the woods. As long as you buy the right bag for your needs and care for it properly, that investment should pay off for years to come. For more great tips on backpacking check out the Podcast! You can also get this and ot her episodes on iTunes and Stitcher!